We are a family on a journey together and on Sundays we meet together to remind ourselves of who we are, and learn through the scriptures how to live it out in practice. Here we renew our commitment to Christ through worship, and are refreshed and commissioned once again. 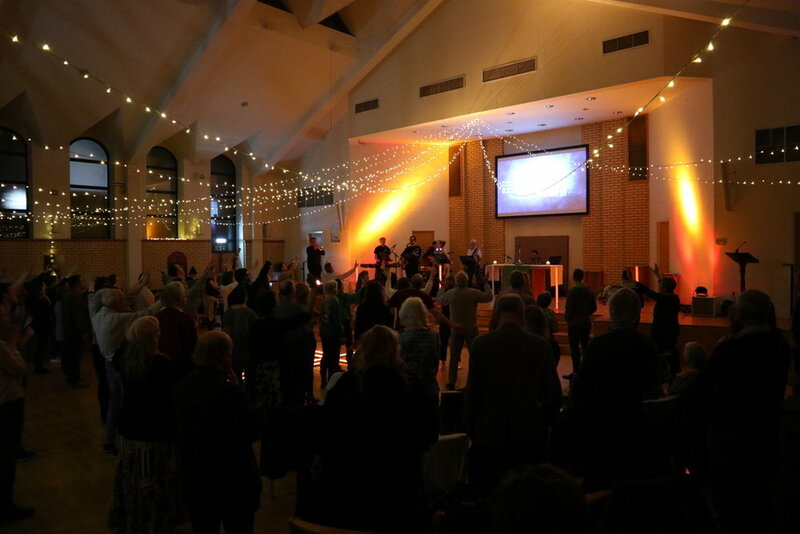 The 10.30 is a lively, informal service with an emphasis on worship, teaching and ministry. We begin as a whole church family together and after an opening time of worship and prayer, children go to their own groups as part of our ‘Kingdom Kids’ ministry. Communion is celebrated on the third Sunday of each month and there are regular visits from mission partners as well as a fair few baptisms and dedications. Each week there is an opportunity for prayer ministry either during or after the service. All-age services are usually very creative productions(!) and happen once a term. Our evening service is smaller, informal and reflective and a great opportunity to worship and dig a bit deeper into the scriptures. Communion is on the first Sunday of each month and there is always an opportunity for prayer ministry. Refreshments are available from 6pm. Once a month on the fourth Sunday of each month Lion’s Roar is an exciting opportunity to worship and to pray. We want to hear what the Holy Spirit is saying to the church today and be ready to respond. Come prepared for a different kind of gathering - prophetic, intercessory, taking up our call to be the ‘army of the Lord’. More information about our upcoming services can be found on our term card.